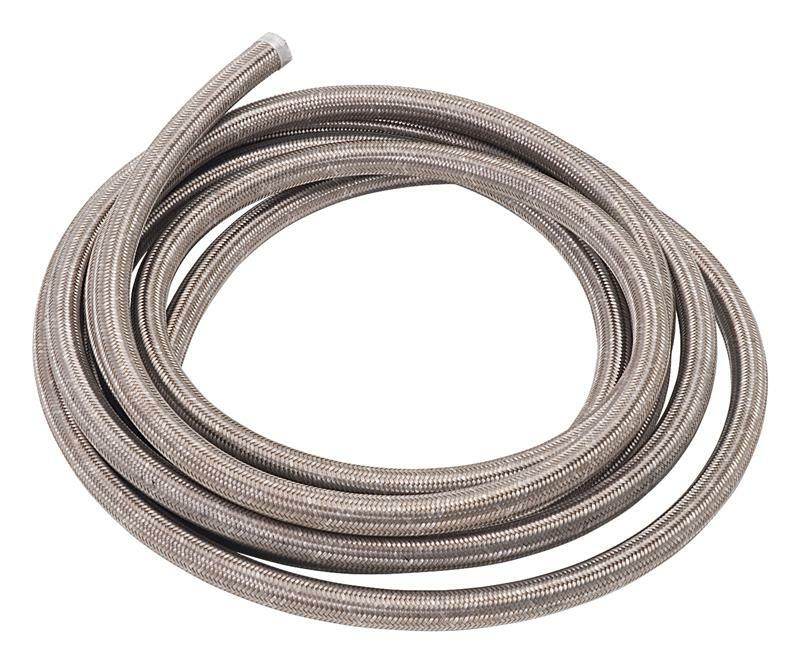 Russell’s ProFlex Hose Series represents the ultimate in mandrel-produced, stainless steel, wire braid hose. It has a unique CPE inner liner that is compatible with synthetic lubricants and hydrocarbon racing fuels. 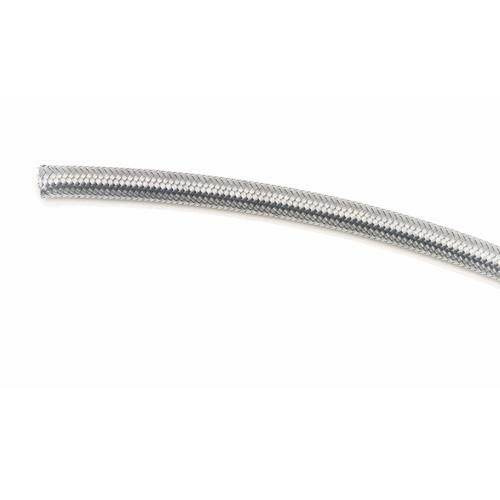 Russell ProFlex Hose is perfectly matched for use with Russell full flow hose ends (taper design). It also features temperature ranges of -40 to +350 degrees F, for a wider variety of uses and routing.